We provide advice from ensuring all your Credits are claimed to the more complicated as to how / why to Invest in BES Schemes / Film Relief Schemes and Pensions, maximising all available Tax Release. Each time your Tax Computations are prepared, we review to ensure that all the best steps are being taken. As well as making a Will, it is essential that same be reviewed to minimise / avoid Capital Acquistions Tax . Consider also availing of the Annual Gift exemption of ï¿½3,000. 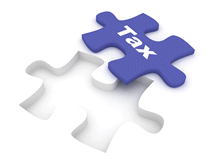 You are liable to Capital Gains Tax on disposal of assets. TIP ï¿½ make a clear record of any losses which Shelter gains in the Future. Apply for Tax Credit for Research and Development Expenditure ï¿½ this allows Credit against not only Corporation Tax but extends to PAYE and PRSI.